The Educator of the Year Award recognises the outstanding contribution of an individual or company within our network of Approved Programme Providers. The recipient will have demonstrated a significant contribution to the development of WSET, promoting our values and vision while achieving noteworthy success in their own region. The award is proudly sponsored by Riedel. 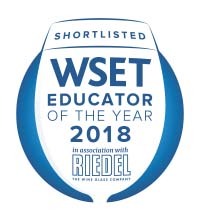 WSET qualifications offered: Level 1 Award in Wines, Level 2 Award in Wines & Spirits, Level 3 Award in Wines, Level 4 Diploma in Wines & Spirits, Level 1 Award in Spirits, Level 2 Award in Spirits, Level 1 Award in Sake, Level 3 Award in Sake. 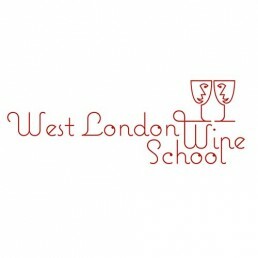 WSET qualifications offered: Level 1 Award in Wines, Level 2 Award in Wines & Spirits, Level 3 Award in Wines, Level 4 Diploma in Wines & Spirits, Level 1 Award in Sake, Level 3 Award in Sake. Following rapid growth, Get Wine Smart recently rebranded from its original name “Wine Construct” and now has a team of educators delivering WSET courses to the Australian trade. The APP provides distributors, producers and hospitality companies with innovative solutions to their corporate training needs and its use of interactive learning materials sees its students achieve above average results. WSET qualifications offered: Level 1 Award in Wines, Level 2 Award in Wines & Spirits, Level 3 Award in Wines, Level 1 Award in Spirits. The Outstanding Alumni Award is an annual accolade that recognises a WSET Diploma graduate who is notably contributing to the industry.